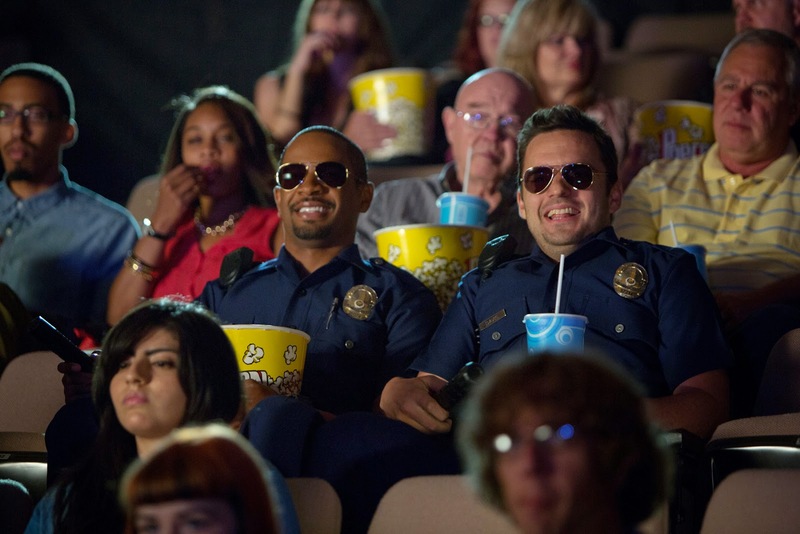 Home / COMEDY / TALK OF THE TOWN / Suiting Up Fake Cops in Real Trouble in "LET'S BE COPS"
Suiting Up Fake Cops in Real Trouble in "LET'S BE COPS"
Real life buddies, Damon Wayans, Jr. and Jake Johnson find themselves playing real buddies in reel trouble when their onscreen characters in "Let's Be Cops" get tangled a real life web of mobsters and dirty detectives where they must put their fake badges on the line and pin down the baddies who are after them. Justin Miller (Damon Wayans, Jr.) and Ryan O’Malley (Jake Johnson) have been languishing since their school days ended. Justin toils at a videogame company, where his bosses prefer zombie antics instead of Justin’s recent game proposal that features real-life cops. Ryan, still reveling in his glory days as a college quarterback, bounces from job to job – his appearance in a herpes drug commercial was a career highlight – without success. A wrongheaded visit to a masquerade party changes everything. Thinking it is a costume bash, Justin and Ryan sport LAPD uniforms Justin had used in his recent videogame pitch. After being laughed out of the black tie party, they notice something has changed as they walk down the streets of Hollywood: women swarm them, bad guys follow their every command and bartenders give them drinks on the house, all because they are mistaken for cops. For Ryan, this is the ultimate high, though the shy Justin is less enthusiastic at the prospect of real police busting them. Soon, Ryan has purchased a police car (off eBay! ), lights and a radio scanner – and the boys are rolling up to real 911 calls. A key design element was the police uniforms, overseen by costume designer Debra McGuire, who has created wardrobe for iconic television series (“Friends”), as well as hit film comedies (“Anchorman: The Legend of Ron Burgundy”). For McGuire, the most challenging factor would be to make the notoriously bulky police costumes breathable for use during the hot Atlanta shooting days. 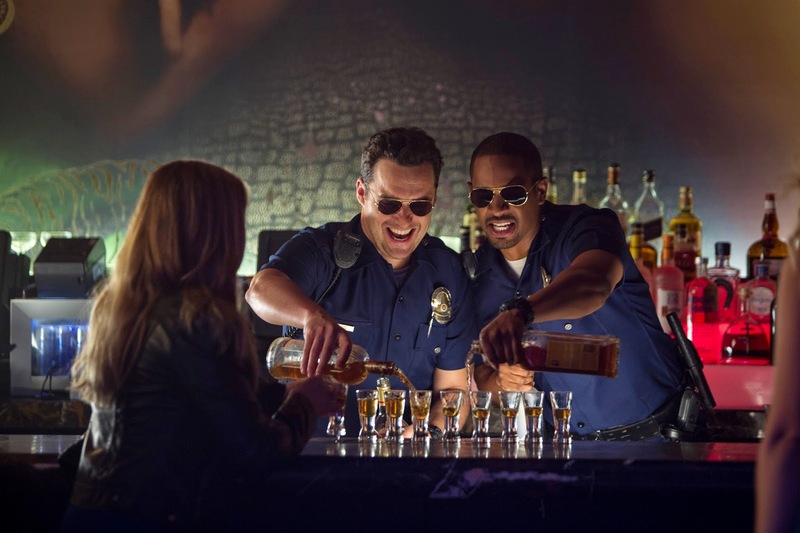 "Let's Be Cops" opens November 5 in cinemas from 20th Century Fox to be distributed by Warner Bros.